Your resume is important because of all the things it says about you. It proves that you're qualified, that you care about the job, and that you understand the working world of aviation. These are all important facts for any potential employer to know. When a hiring manager sees what they consider to be a great resume, it instantly inspires positive thoughts about you as a candidate for the job. Your well-structured resume gives the impression that you're an organized person. Your concise resume language gives the feeling that you're a no-nonsense person who gets right to the point. A great resume can make a hiring manager feel like you have all of the necessary traits to be a positive asset to the company, help them visualize how you will operate within the framework of their corporation, and how your skills and abilities will be utilized in the future development of the company. Companies need an accurate record of where and when you worked. Give hiring managers what they need to make a decision about your credentials and gain the edge over other applicants. When presenting your employment history, list everything for the last 10 years. Your employment history should be presented in reverse chronological order, with the most recent jobs placed at the top of the list. If you served in the armed forces, describe your length of service, branch of service, rank, and discharge and/or reserve status. Employers generally react favorably to military service experience. For many jobs, the Education section on a resume is key. Your education can involve on-site or online courses, workshops, conferences, seminars and even self-learning materials. During a quick scan, an employer can see if you have a college degree or relevant certificate. If you are a recent graduate, it is a good idea to include a sentence of two highlighting the courses taken and how they are relevant to a potential job. 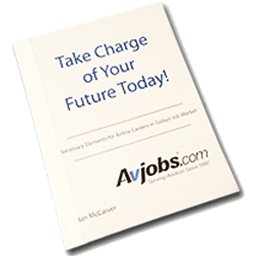 Avjobs Resume Services automatically create your aviation specific resume and give you the tools showcase your skills, experience and areas of interest to potential employers looking for candidates just like you. Get expert guidance on writing your resume: industry and occupation-specific advice and recommendations for your personal career situation. In minutes, you'll be on your way to creating a resume that will impress even the most discerning employer and put you ahead of the competition for that next position! Although the Avjobs Resume Hosting system will automatically sort your previous positions by date, you should start with your most recent employer, and then continue in descending order. When entering your current position (present employer, student, or military), the date fields may be left blank and the system will automatically default this information to be your current position.